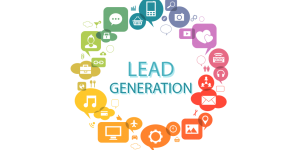 Lead Generation is Easy – Just Stand Out….. OK but How? What a fantastic statement, could you imagine how great the world would be if we all woke up each and every day with a mindset to being truly remarkable? Whilst it sounds like an easy thing to do, actually putting it into practice can be quite a challenge, especially for todays business owner who is inundated with spot fires to put out, let along having time to focus on how to make the business remarkable. I’m a big believer in chunking things down in order to take small steps. Take enough small steps and you will indeed reach your destination. Whilst this book is a fantastic read, I’d like to offer some similar examples about how the every day business owner can showcase just how remarkable they are by chunking down the the to do list but still getting the result. Be aware of what is happening in the world around you. What are people talking about, what is the topic of conversation, what is dominating the news headlines. Savvy business owners are aware of what the current buzz is all about and look to leverage that topic within their business. At the time of writing, the premier of the movie “50 shades of grey” is about to be release which is causing a big stir within the buying public. One home hardware business has taken the initiative in preparation of the release to educate its staff for an increase in demand for rope and cable ties. This proactive move is sure to improve potential customer awkwardness and facilitate a greater level of staff / customer interaction resulting in an increase in sales. Other similar business owner not so prepared will face potential lost sales due to said “awkward moments”. This kind of initiative can be adapted to almost anything such as a well known sporting event. The key is to be in tune with what the current topic of conversation is within the community so when you tap into that with your business offering you immediately grab the attention of your potential customer due to the familiarity of what is current in their world. Have you had the experience where one moment you are doing something, then all of a sudden you smile to yourself as you remember back to another time which more than likely gave you a level of joy (ok sometimes it’s not joy but most times)? Well that’s familiarity. The feeling of comfort and safety of how it used to be. Smart marketers tap into this feeling of familiarity to leverage that sense of trust and safety and transfer it to their product or service. Such a feat was attained when promoting the chocolate bar “snickers”. In this example, the company sought to leverage the familiarity of the hit TV sitcom “The Brady Bunch”, and at the same time keep it in line with its current marketing model. The intrigue surrounding this mash up was so large, that the company was forced to release the ad early due to a massive 2.5 million social engagements. The challenge for business is identifying what their ideal customer finds comfort and safety in. Once identified this level of familiarity can then be leveraged to promote a product or service. A local baker could look to tap into the familiarity of community by being identifying itself as the community hub, whilst a beautician could look to tap into the trust of family by positioning itself as a reward for the hardest job in the world – being a mum.